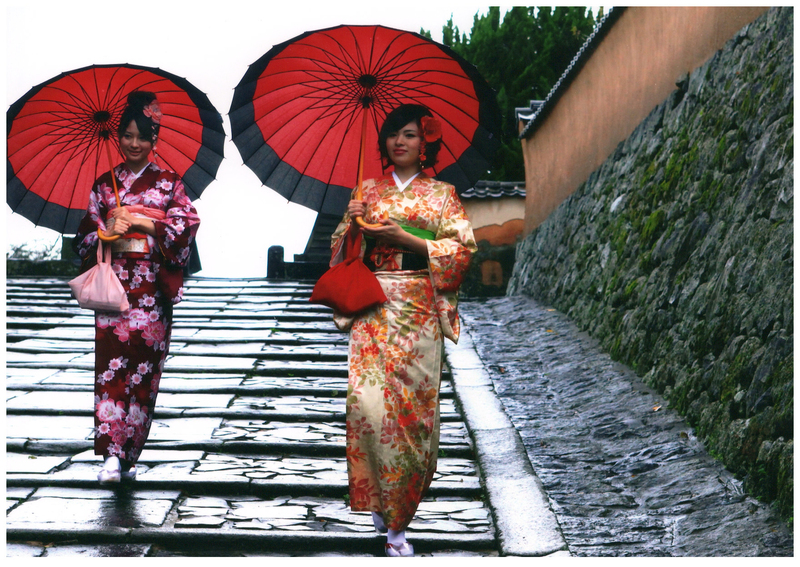 Recommendations for walking around the city in Kimono. 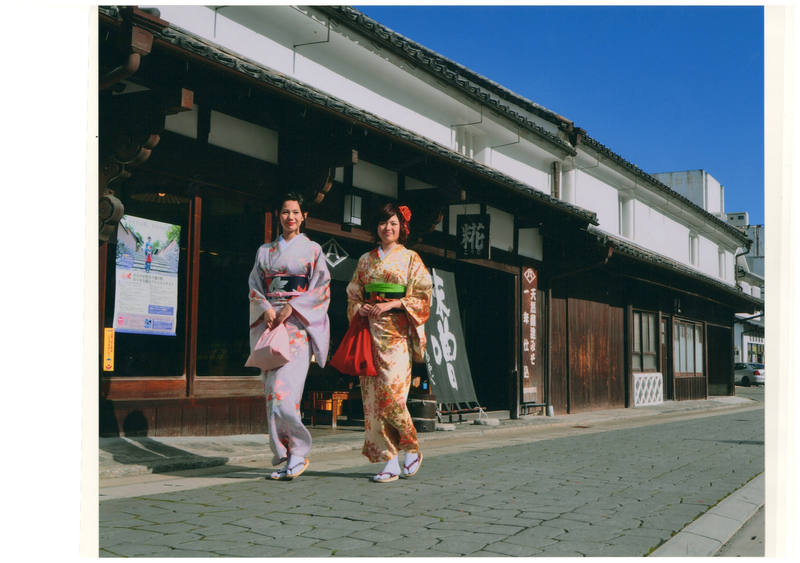 Have lunch, a date, and go shopping in kimono. Download rent a Kimono reservation form. 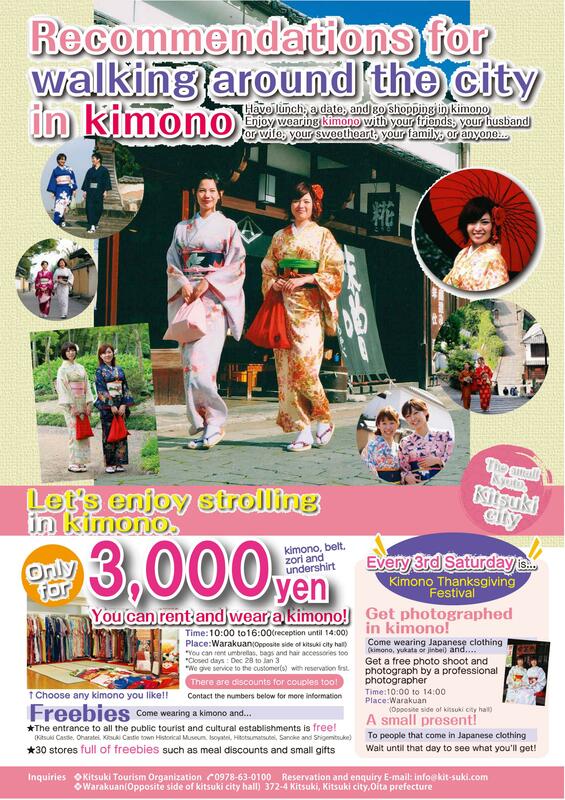 ※ Please write the subject of e-mail as "Kimono experience"
※ Please make a reservation by up to 3 days before. Copyright(C) KITSUKI TOURISM ORGANIZATION,All Rights Reserved.